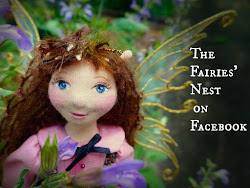 The Fairies Nest - OOAK Cloth Dolls & Fiber Fantasies: Amazing! All that being said, I thought I'd share this incredible clip I found. 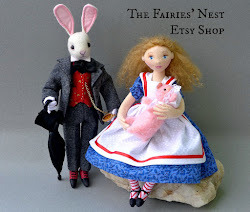 It's of the woman who made the tiny knitted sweater and gloves in the movie. For all of you who love tiny art and those who love Coraline too, Enjoy! Yeah! I loved Coraline as well. Went to see it on its opening day! The animation was incredible and so was the soundtrack. 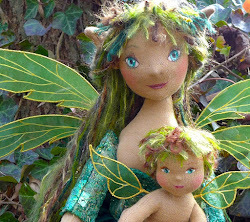 Unfortunately my 6 year old had nightmares with it and refused to come into my studio for a week with all the unfinished dolls and buttons I have...though is that realy a bad thing? maybe I should take her back to watch it again...LOL!!! wow - that must be very, very, complicatet to do that... Do you have tried it??? omigosh that's incredible! now i have to watch the movie!